Although it can be pricey, a degree or certificate in nursing is an extremely worthwhile expense. Students of Oregon’s nursing schools should budget for several significant costs, including tuition, books, clinical supplies, living expenses, and transport. If the student is not a local resident, room and board must also be budgeted. Fortunately, Oregon’s nursing schools offer high-caliber programs that prepare students for success in the state’s rapidly changing healthcare industry. The cost of nursing education depends in part on the level and length of the program. For example, certificate programs for certified nursing assistants (CNAs) and licensed practical nurses (LPNs) are significantly shorter than degree programs for registered nurses (RNs). Costs also vary significantly by the type of institution. Because they are funded by the state government, public schools carry significantly lower tuition, particularly for state residents. Private institutions charge higher tuition, but they can often boast high-quality resources, state-of-the-art facilities, and brand prestige. While the total expenses may seem daunting, they are the start-up costs for a long, stable, and financially rewarding career. CNAs, who require just a brief training program, can earn up to $31,000 per year in Oregon. Salaries rise dramatically as the nurse ascends to higher roles. 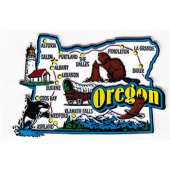 Oregon’s LPNs typically earn $40,000 to $55,000 per year, and its RNs take home annual pay of over $80,000. A bachelor’s degree is not necessarily the end-point: professional nurses can specialize in even more lucrative areas like nursing midwifery and nursing anesthesia. These advanced practice registered nurses (APRNs) can earn anywhere from $100,000 to $150,000 per year, depending upon their specialization. You can browse our list of Oregon nursing schools to better understand the costs of nursing education. We’ve ordered them below by program cost, from most to least expensive.